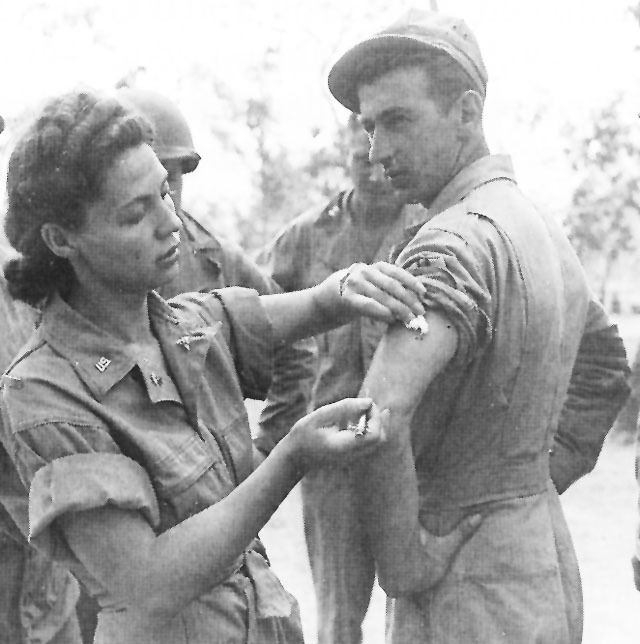 U.S. Army nurse instructs Army medics on the proper method of giving an injection, Queensland, Australia, 1942. This blog has a new page! If I’m really going to reflect life in the Emergency Department then it needs to include every aspect of the daily concerns of those who work there. An integral and indispensable part of that life is the nursing staff. When I was an intern it was nurses who helped me feel confident putting in IVs, placing foleys, learning how to work the monitors, or clear air from an IV pump. A nurse took the time to show me how to set up the rapid infuser and to find the patient warmer, suture material, and a million other things I needed when I knew nothing. Now as a working ED doc, they still keep me out of trouble every day. When I come on shift the first thing I do is see what nurses are assigned to my area. Based on that alone, I can tell how my shift is going to go. One of the best parts of my job is working with great nurses and knowing that when a sick patient comes in they have my back. When I go on international relief missions, having ED trained nurses means everything is going to be okay. I’m pretty sure if you dropped a team of seasoned ED nurses into the middle of the Amazon Jungle and came back a week later you would find a fully functioning hospital waiting for you. You may think that ED docs and nurses have a lot in common, and they do, but they can also have radically different perspectives and opinions on patient care. Most of the time this difference is a huge benefit to patients. Sometimes it is the cause of friction. I will be the first to admit that I have run afoul of the nursing staff on more than one occasion in my career, and when I have it is uncomfortable, distracting, and makes time in the ED not so great. So this page will be about the emergency department from a nursing perspective. What they have to teach us, what we can do to work better as a team, and what really matters to them when they come on shift. I’m looking forward to their input. ← Are You Ready to Have Your Mind Blown? Ok….. Wow… Where to begin… First and foremost, I love everything you mentioned in this post! It’s so true.. We, as ED nurses, take pride ourselves in being the glue that can hold together an ED and at the same time, a wealth of knowledge for the physicians who come and go. I would like to start by saying I personally never had an issue with you, Dr. St. George. 😉 I think this EMBER project looks like a great idea and wish you success with it. My biggest problem with some doctors is the lack of communication. The doctor makes the plan, but I am the one who has to carry it out to a scared and clueless patient. It delays their care when I have to hunt down the resident or doctor to find out what the plan of care is and why. My pet peeve (this applies to nurses, too) are medical professionals having hissy fits about patient loads. Barring unsafe conditions, please remember patients are job security. People should enter the medical field because they want to help people. Don’t ever lose sight of that. We are seeing patients in what they themselves believe to be emergency situations. They are scared, in pain, stressed, and losing control over what’s happening to them. They don’t need their nurse hiding in the nursing station rolling their eyes at “oh God, another one” and the attending doing a stampy dance at yet another patient they have to see. You go to work to work, put your head down, dig in, and get to it. Finally, residents and doctors have to realize nurses are not your employees, we are your team members; your eyes and ears. Paternalistic, superior, or sarcastic treatment will get you nowhere fast. Don’t barge into a patient room while I’m placing a foley and demand to know why I never sent labs on another patient 20 minutes after I did. Watch how you word things. Most nurses really are running around doing the best they can. Although I can’t deny that some nurses have sincerely bad attitudes as well. These are two way streets. But most of all, good luck to residents reading this. You have a long, hard road ahead of you, but you can do it. And to the attendings, stay strong. May all doctors love what you do, because your patients need that. To everyone in the medical profession, bless you!